In the debut of our new feature, the Shack Ten, the staff picks some of the best games that never had sequels, and probably never will. Welcome to the Shack Ten, our new bi-weekly breakdown of the best, worst, weirdest, or other-est of video games. The staff has sequestered itself in a room and come out only slightly bloodier with a list of the ten best One-Hit Wonders--games that were great, and had the makings of a franchise, but never got their much-deserved sequel. Crave Entertainment's Shadow Madness was in a league of its own when it finally debuted, though it didn't release to critical acclaim. It was dogged for its "underwhelming" character design, but hid an engaging Western-styled role-playing tale with memorable characters and an excellent turn-based battle system. With a decidedly Final Fantasy VII lilt, it was an exciting alternative to the other games flooding the market at the time, and should have been graced with its own sequel eventually. In an industry that doesn't so readily accept rhythm games unless they're within the Rock Band family, Gitaroo Man was a beautiful oasis of colorful characters, excellent tunes, and challenging stages that bring Hatsune Miku: Project Diva to mind. It was never fortunate enough to receive a sequel, but the tale of U-1 and Little Pico is one that you'll never forget. Featuring a super-powered Gitaroo that transforms our hero into Gitaroo Man, it's an amalgam of out-there storytelling and sizzling hot songs from varying genres. You can even play it on PS2 or Vita, if you've still got one. Before Red Dead Redemption there was only Gun. A wild-west shooter from Neversoft, Gun was both critically acclaimed and well received when it released on PlayStation 2, Xbox, Gamecube, Windows, and Xbox 360 in November of 2005. Set in a huge open-world, Gun followed Colton White as he set out into the unknown dangers of the wild west on a quest for retribution. Written by well-known screenwriter, Randall Johnson, Gun’s story was a dark and brooding tale of a savage world often hidden behind the romantic notions of the wild west. But the darker story wasn’t Gun’s biggest drawin. In fact, Gun was the first western game to offer up a huge open world to explore. Upon release many reviewers compared the game to Grand Theft Auto in the wild west, and until 2010, when Rockstar Games released Red Dead Redemption, it was the only western game to rise to that level of openness. Most importantly, however, Gun was a brilliant depiction of just how talented the Neversoft team was, and a blatant reminder of how much they had to offer outside of the Tony Hawk series. Sadly, due to unknown reasons, the game’s rumored sequel has never been made absolute, and now what remains of the Neversoft team has been merged into Call of Duty developer, Infinity Ward, further sealing Gun’s fate as a one-hit wonder in the video game world. "Master. We're in a tight spot!" Suda51's bizarre action-adventure fever dream happened to be on rails, but it certainly went off them nearly every time it could. With a unique mixture of first-person shooter elements and exploration that could be compared to classic adventure games, it served up an unconventional (and often unsettling plot). Its obvious cult appeal helped cement it as one of the most intriguing game the PS2 had to offer, and for good reason. Unfortunately it never received a sequel, but its style lived on in the form of No More Heroes and followup Suda51 titles. While technically a westernized spin on the Japanese Ouendan series, Elite Beat Agents made its own mark and stands alone. That's a shame, because the tap-based rhythm gameplay set to American pop music and rock ballads was incredibly engaging and rewarded building the requisite skills. What really made EBA stand out for most players, though, were the story animated panel stories that would accompany each song. It was as if Nintendo reimagined the concept of the music video, all built around the quirky concept of black-suited G-men dispatched to help citizens through everyday problems. E-B-A! E-B-A! Kingdoms of Amalur: Reckoning is a game mired in tragedy. Any mention of it is associated with long marketing campaigns, faulty business decisions, job loss, closure, and a disgraced baseball star. But the greatest tragedy is how all of this obscures the appreciation for Reckoning as a game. Beautiful visuals, wonderfully diverse combat, deep leveling mechanics, a massive world, and a story penned by fantasy icons make Amalur a truly underappreciated gem of the last generation. Here's hoping this legacy eventually replaces its infamy. Bulletstorm is most remembered for two things: its yo-yoing grappel mechanic, and absurd, bone-headed profanity. Bouncing your enemies around like ragdolls never stopped being a wicked good time, and People Can Fly iterated on the concept enough that it kept feeling fresh all throughout. The profanity and plot, while undeniably stupid, was very consciously so. Look no further than the exchange that leaves our protagonist asking "what does that even mean?" when his new ally issues a profane but nonsensical threat. If Duke Nukem Forever had half this game's self-awareness, maybe it wouldn't have landed with such a thud. What Grand Theft Auto does for social commentary on a broad scale, Bully did for the dog-eat-dog world of high school. Bully was special for more than its spot-on satire, however. Every bit and pixel pulsed with attention to detail and intricate game systems—hallmarks of every Rockstar game. The setting felt lived in, the characters and story are relatable, the systems were flexible and comprehensive enough to make the setting feel like a world. Eternal Darkness is remembered most for its sanity effects. This was controlled by the sanity meter, which was a green bar that would deplete after witnessing various events, such as being seen by an enemy. When the bar becomes low, some subtle changes to the environment and random unusual events occur. For example: the camera would skew its angle and crying, whispers, and other noises can be heard. If the sanity meter was low enough, the game would being to break the fourth wall to then toy with the player. Such anomalies like a Blue Screen of Death, the game saying the controller is unplugged, and the game suddenly muting itself would have the player thinking they were slowly going mad while playing Eternal Darkness, and broke the fourth wall in a way we've rarely seen since. The game received stellar reviews across the board, and given its unique atmosphere and gameplay, we’re still hoping Nintendo will stop driving us crazy and create a sequel for the game. Forget that Super Mario Bros. almost single-handedly brought the North American videogame industry back from the dead. Forget that at one point, more kids recognized Mario than recognized Mickey Mouse. The one-two punch of Duck Hunt and the NES Zapper was arguably as instrumental to making Nintendo a household name as the company's leading plumber. Knowing that retailers would have anaphylactic reactions to anything resembling a video game, Nintendo billed the NES as a toy. Part and parcel with that Trojan horse strategy, they packaged NES Control Decks with copies of Duck Hunt and its Zapper, a plastic gun that resembled a Star Wars-style blaster. For kids and adult who couldn't get the hang of maneuvering Mario around Goombas and bottomless pits, the intuitiveness of pointing and shooting at pixelated ducks and clay pigeons made video games accessible. 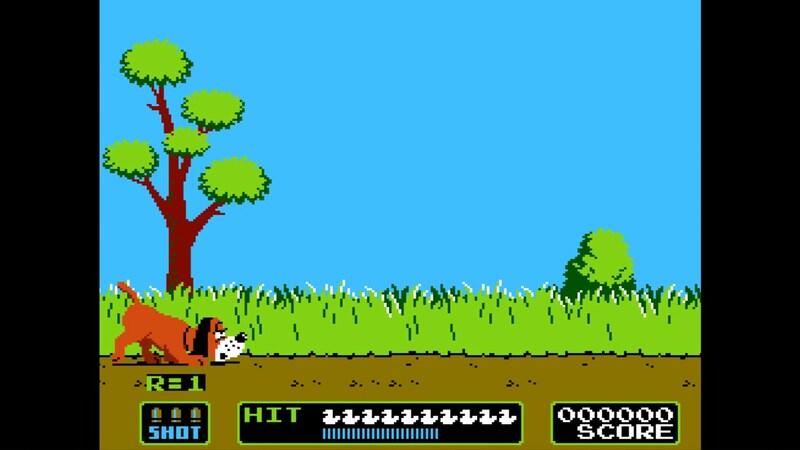 Simple, quick, and fun—that's Duck Hunt in a nutshell. What are your picks? What did we get wrong? Hop into the Chatty and let us know! Interesting article, although from the title, I half expected it to be about one-hit studios. Well there's a good one for our big list of list ideas. I expected one hit developers and was expecting Gollop and X-COM to top the list. I loved Gun. Still my favorite horse riding mechanics. It was so good, right? Typically a one hit wonder is when, for example, a band has an album, or even several albums and out of all of their content, only one song is good. It's a one hit wonder. Theres only 1 of several of these games. It's not like duck hunt had sequels and they all sucked and somehow only duck hunt was a good title among the trash. yeah, this article is a bit odd in communicating its vision. More like "Great games that never got a Sequel"
I think "one hit wonders" is more of a kitschy title, and to be fair he does explain in the 1st paragraph that its games that deserved a sequel. The drama from Amalur was almost surreal. I really played the heck out of it though. Gitaroo man was so awesome. I always hoped they would make a sequel.